Moving east from the agro-industrial plains to the north of Bury St Edmunds, you reach an area of secretive, pretty villages, and Great Livermere is one of them. 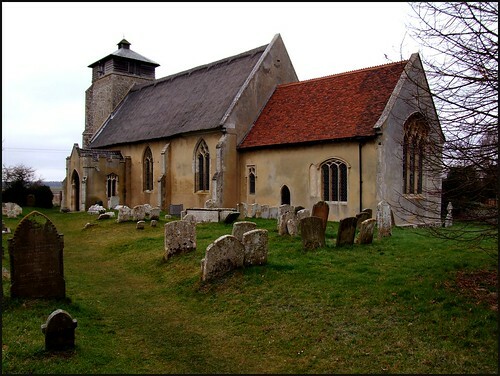 It is one of several villages edging Ampton Water, and to the west of the church the landscape is fairly wild and rugged, punctuated by the broken tower of the ruined church of Little Livermere, about half a mile away. 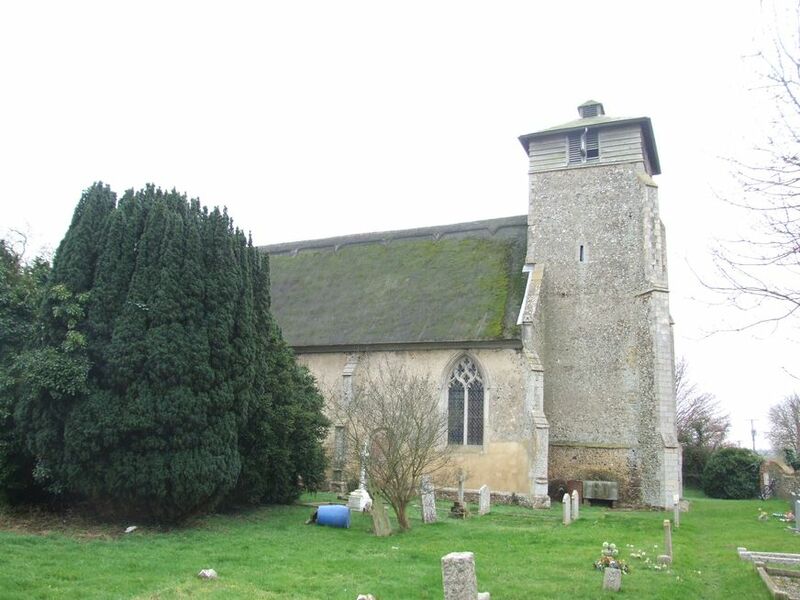 On an earlier version of this entry, I described Great Livermere church as 'rather self-important'. I knew what I meant, but it was hardly fair. In fact, this is a beautiful, organic building, with a real sense of its rural setting, and the feel of a touchstone. The tower was possibly never finished. Today, it is topped by a weather-boarded belfry, which is both singular and attractive. All around, there are windows from almost every period, but at the heart of it all is a nave which was once, broadly speaking, a Norman church. A curiosity on the north side is the battlemented vestry with its wooden traceried windows, probably a sign of pre-ecclesiological 'Gothick'. The church is an attractive assemblage, despite (or possibly because of) the chancel and the nave looking as if they are separate buildings which just happened to be beside each other. You step into an interior which is entirely rustic, but perfectly cared for. The building is full of light - there is no coloured glass at all - and this gives it a feeling of being larger than it really is. 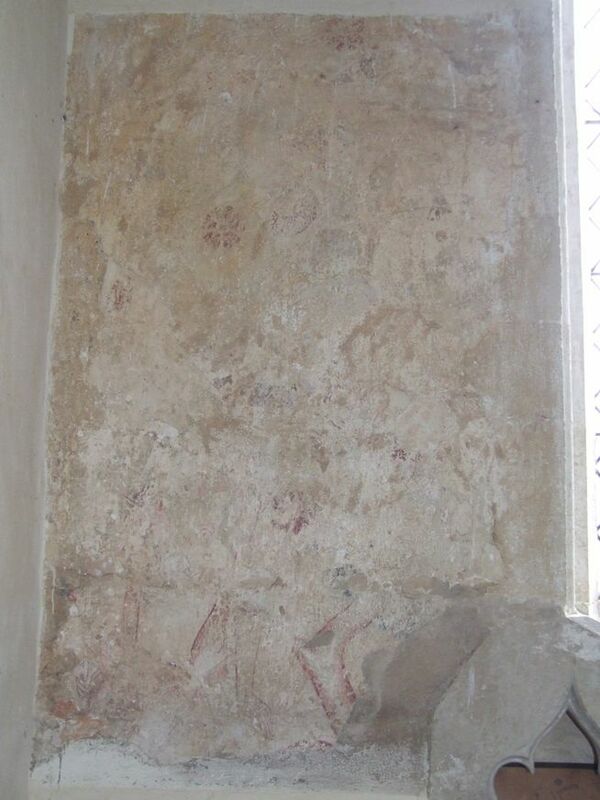 As well as a couple of consecration crosses, there are some surviving wall-paintings, but most are long gone, and those that remain are faded. The most interesting is opposite the south door, which may not be the St Christopher you'd expect, but possibly part of a 'Three Living and Three Dead', as at Kentford. There are low-side windows on either side of the chancel, which is less common than finding just the one in the south wall. One of these still has its shutters intact. These were intended to allow a bell to be rung at the consecration in the Mass, and to increase ventilation and updraft around the rood. There seems to be no valid liturgical or devotional reason for there to be a window in both sides, but perhaps it was decided to change the side on which the bell was rung, a new window being opened, but the old one not filled in. The furnishings are lovely and interesting. The thre-sided communion rails are probably Georgian, but many of the pews are from the previous century. There are still pew numbers around the panelling. 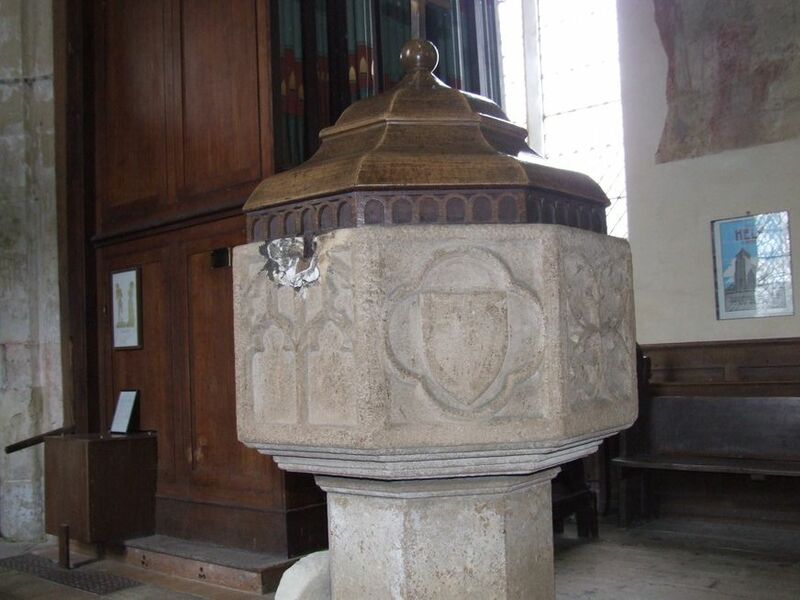 The three-decker pulpit is a very fine one, a fruit of the Church of England's confidence in the years after the Restoration of the Monarchy. There is a carved, wooden royal arms for Victoria. At the west end, a hanging sign depicts a falcon, and records an inxsription to be found on a barely legible headstone outside; William Sakings, who died in 1689, was forner to King Charles I, King Charles II and King James II. Leaning on the base of the beautiful and simple 14th century pulpit is part of an 18th century memorial discovered under the floorboards. 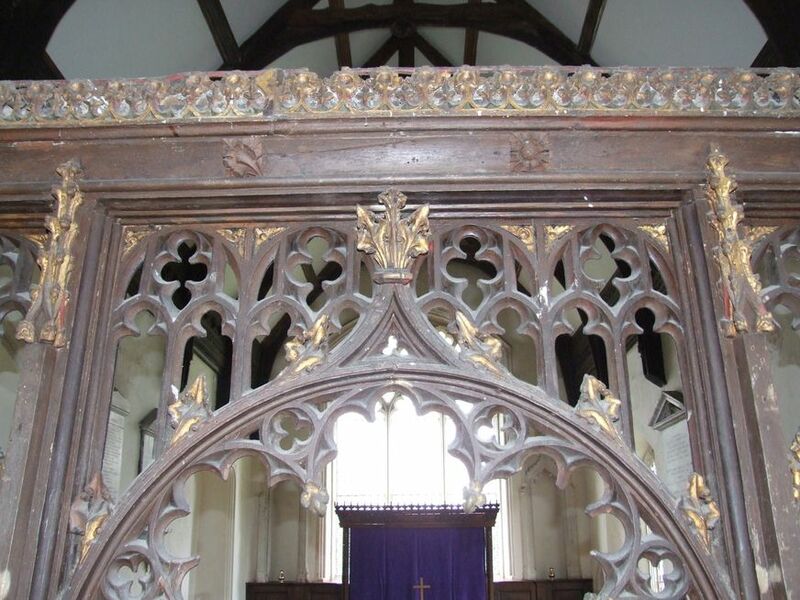 It probably came from outside, because there is one with very similar lettering just outside the south porch. 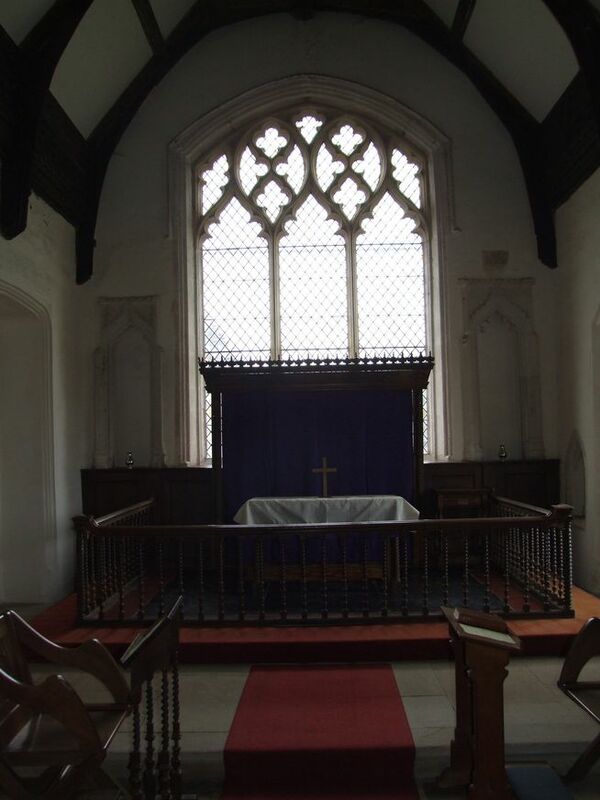 Church historians and fans of ghost stories alike will pay homage to the M R James memorial in the chancel. The author of the erudite 1920s travelogue Norfolk and Suffolk, and the classic Ghost Stories of an Antiquary, he grew up here, and his father was the Rector.